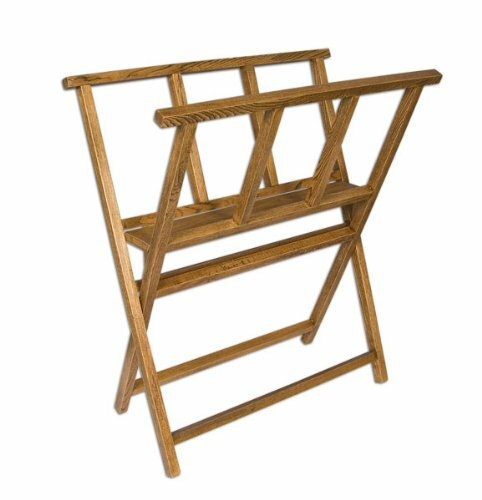 INFO: The Creative Mark Folding Wood Print Rack is a sturdily built functional storage rack that is handsome enough for art fairs and retail environments as well as the home and studio. CONSTRUCTION: Constructed of smooth sanded Beechwood with a Walnut Stain finish, this rack is made to store and display prints, posters, paintings, and other flat media. This beautiful print rack has a print area that measures 15" H × 25.5" W and is perfect for artwork up to 24 × 36". STORAGE:You can store and keep several prints and paintings on the 4" wide rack bed. When the rack is not in use it easily folds down for storage and travel needs. SIZE: Overall size 28" H × 16" L × 25.5" W.
If you have any questions about this product by Creative Mark, contact us by completing and submitting the form below. If you are looking for a specif part number, please include it with your message.